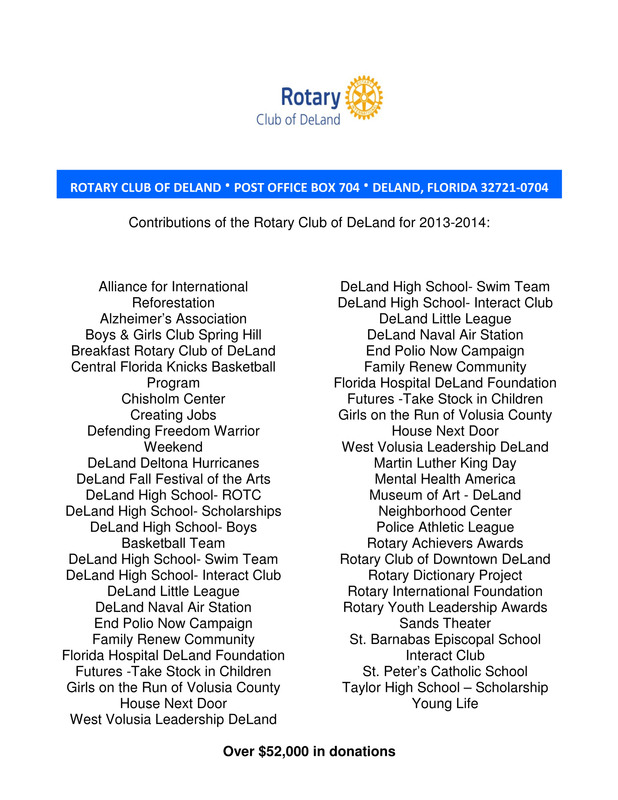 Rotary Club Of DeLand...Welcome to our Club! 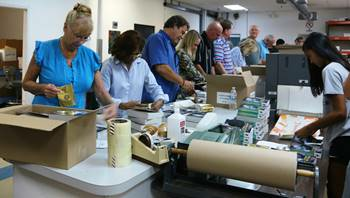 You now have the option of making payments to the Rotary Club of DeLand through PayPal. You can now pay your quarterly dues statement, buy tickets to events, make donations to End Polio Now, and more. Just click the drop menu below to select the type of payment you are making, Click the 'Buy Now' button and follow the instructions. It's that easy. What an incredible way to start a Presidency: arrive at your Installation Banquet via Sea Plane!! 2018-19 President Kevin Reid and 2017-18 President Eric Nompleggi both were flown to the Banquet on the shores of Lake Beresford courtesy, of Bill Booth. 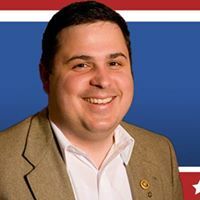 The theme for Kevin’s Presidential Year is “Be the Inspiration.” Past President Eric Nompleggi named Larry Drumb as the Rotarian of the Year and Zach Zacharias as Rookie of the Year; Eric honored Gery Walker with the Service Above Self Award. Outgoing Board Members (Harlow Hyde, Larry Drumb, Reggie Santilli and Trude Cole-Hill) were thanked for their service and given mousepads emblazoned with “Rotary Club of DeLand” and the Rotary International logo. Amanda Worrall and Patty Bautz were sworn in as new Board Members. 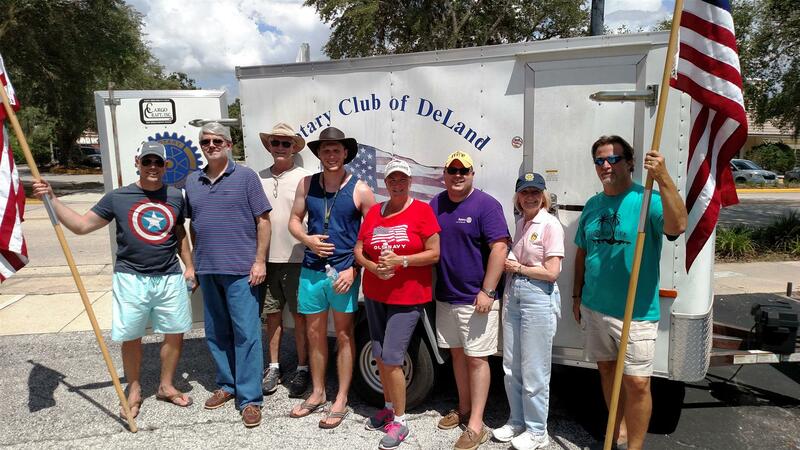 Rotarians from DeLand’s three Rotary Clubs (Rotary Club of DeLand, DeLand Breakfast Rotary Club, and Rotary Club of Downtown DeLand) were joined by members of the DeLand High School Interact Club for a Service Project at the DeLand YMCA Saturday, March 10, 2018. The task was to paint the outside Pool Area including hallways leading to the outside Pool. Armed with brushes, rollers, scrapers, ladders, drop cloths, step stools, twenty gallons of paint, etc., the twenty-five energetic and enthusiastic volunteers accomplished the work in about three and a half hours. The highlight of this Service Project is a Mural that was designed by and also is being painted by Mike Orr. In addition to the Rotary Logo and Motto, Mr. Orr’s mural has the names of the three DeLand Rotary Clubs and lists some significant Rotary projects. Proceeds from the DeLand Christmas Parade, which is sponsored by DeLand’s three Rotary Clubs, funded this YMCA Pool Painting Project. 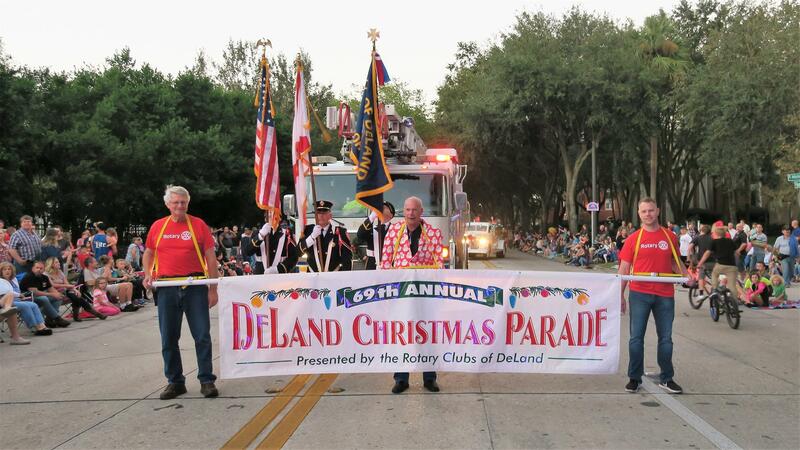 The 69th Annual DeLand Christmas Parade held Saturday, December 3, 2017 was sponsored by the DeLand Rotary Club, the DeLand Breakfast Rotary Club and the Downtown DeLand Rotary Club. Plates were affixed to inside the front covers. 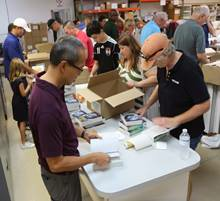 All in all, 3000 dictionaries were prepared for distribution to West Volusia third graders. 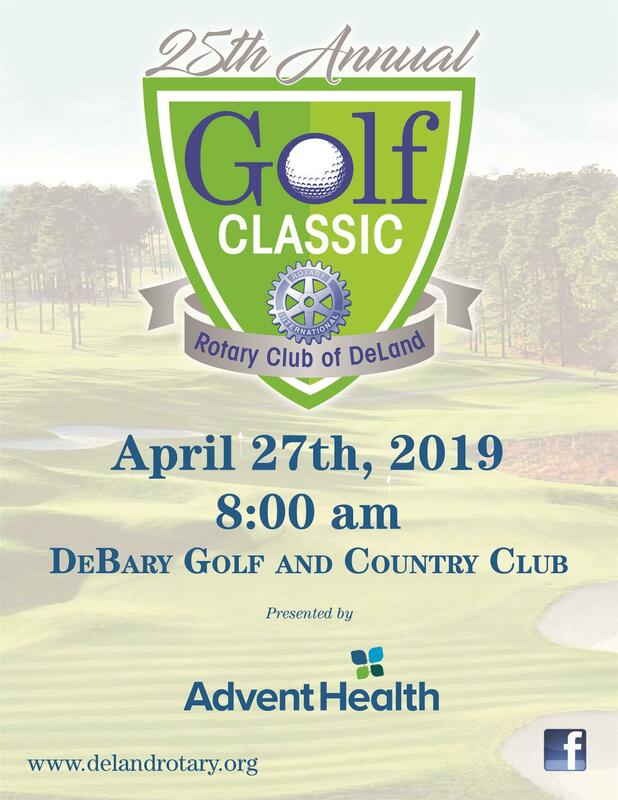 Our Club was assisted in this effort by the DeLand Breakfast, Downtown DeLand and Debary-Deltona-Orange City Rotary Clubs. The Rotary Club of DeLand honored the sixty-one winners of its 2017 Rotary Achiever Awards at the May 18th luncheon at Wayne G. Sanborn Activity Center. Rotary Achiever Project Chair Morgan Gilreath praised the winners for their significant accomplishments as well as their leadership potential. 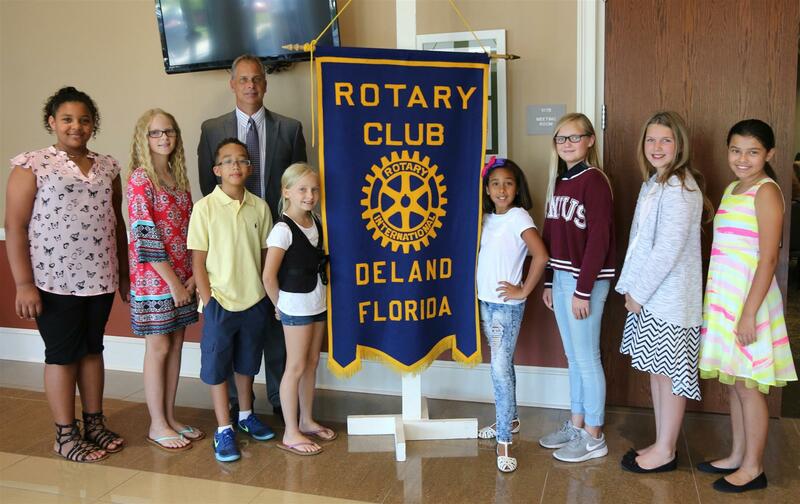 Rotary Achiever Awards are given annually to West Volusia elementary school students in the fourth and fifth grades who have exhibited the greatest increase in academic achievement during the school year, based on standardized reading tests. 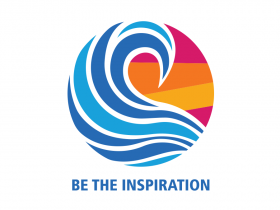 The main goal of the Rotary Achiever Program is to instill the concept of rewards received for effort expended. 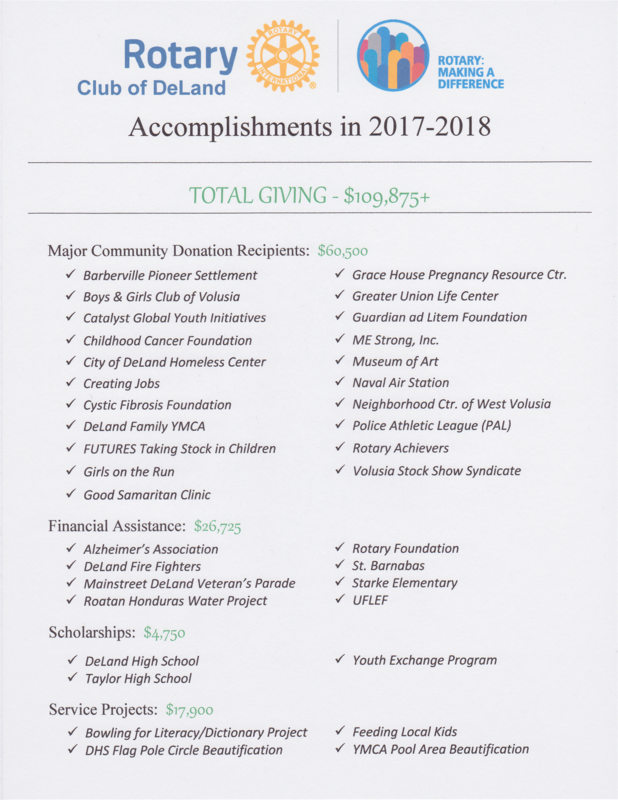 Since 1997, the Rotary Club of DeLand has given out 987 Rotary Achiever Awards and invested over $127,000 in this program. Rotarians... have you logged in yet? Your club has subscribed to Clubrunner, a powerful e-communication tool that will facilitate your club's activities and correspondence. This guide will show you how to retrieve your password and login. Once in the system you can edit your profile.